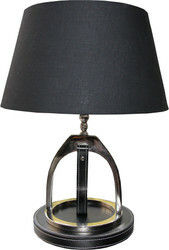 Casa Padrino sells a very extensive collection of beautiful stool lamps. 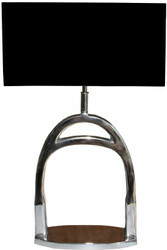 For your beautiful home you will find at Casa Padrino a large number of different stool lights. 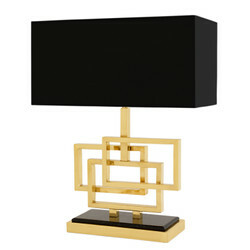 For the lovers of a classic interior, we carry lights in a discreet Baroque style. But also friends of rustic facilities are guaranteed to find and can choose from different types, for example, a lamp in copper look. The design of stool lights are virtually unlimited. Numerous models score with striking design in playful patterns, eg. B. as a mix of geometric figures or in a popular flower optics. At Casa Padrino you will find a huge selection of high quality stool lamps in brass, aluminum, stainless steel, glass, chrome and many other materials. At Casa Padrino your imagination is almost limitless. In our online shop you will find a wide selection of different styles and colors. Always with the right mix of glamor and style. To get an idea about our products in our online shop is one thing. But it is even more fascinating to experience our stool lights directly and to convince oneself of the quality on site. If you happen to be around Essen (Germany), we would be happy about your visit. In addition to the wide range of stool lights available immediately, we at Casa Padrino also offer you the opportunity to have custom-made items made to customer specifications. For further information about the complete offer just call us on + 49-201-36577485 and our qualified support will help you in every detail! Guaranteed! Casa Padrino, your baroque wholesale on the internet and on site.